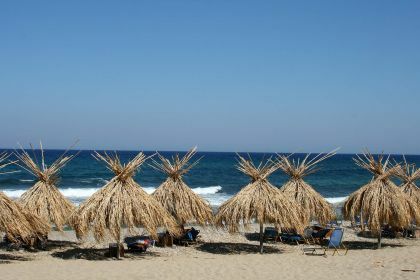 The southernmost island in the Sporades, Skyros is known for its charming coastal villages, jagged coastline, mountains, sea caves and beaches. Skyros town in the north has white cube-shaped houses and the remains of a Venetian castle above the town. 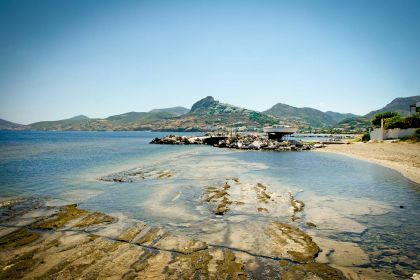 Most beaches and anchorages are on the west and southwest coast, including the islet of Valaxa and the beautiful rocky bay of Tristomou. 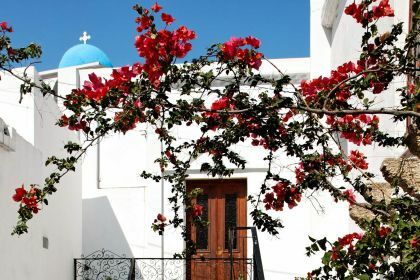 Due to Skyros being more isolated than many other Greek islands, it doesn’t get overrun with yachts, making it a great place for unhindered exploration. The island may not be as developed as others, such as Skiathos, but being aboard a yacht means you have immediate access to all the pampering and luxury you desire. Diving is excellent around the island, due to the clear water and abundance of aquatic life. Gorgonia Diving in the main town will take you on a guided excursion to the best spots. Drop anchor off the beaches of Molos and Magazia, where you can sip cocktails on the sand and soak up the sun. Skyros is home to the Skyrian pony, one of the oldest, rarest breeds of horse in the world. These petite animals, endemic to the region, can be seen at Mouries Farm, which is working to protect and preserve the breed. If you’re up for some culture, visit the grave of Rupert Brooke, the British war poet who died at sea off the coast of Skyros while en route to Gallipoli. For some of the best seafood on the island, head to Asimenos and try their famous lobster spaghetti or check out Istories Tou Barba, which serves fresh fish on the seafront. Fishtavern O Stelios, right on the harbour’s edge, serves an impressive range of seafood dishes, and is also renowned for its goat. Stylish and contemporary Oino Café Bar is a fantastic little spot for a coffee or cocktail. The nightlife on Skyros is laid-back and tranquil, perfect for sundowners with spectacular sea views. Thalassa Beach Bar, right on the sand at Molos, is a wonderful romantic spot, while the cocktail bar at Lykomides guest house, perched above the port at Limaria, is a great place from which to watch the sun set. Kavos Café, also in Limaria, must have one of the best settings of all lounge-bars in Greece, with tables set on decks built into the rocks. 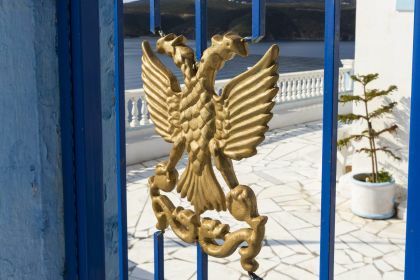 Ready to get to know Skyros for the luxury of your own chartered yacht? Contact our friendly broker, call us or leave a message using the contact form. Insider Tip: For a memorable, awe-inspiring experience, take a midnight swim at Dead Goat Beach, near the village of Atsitsa. Microscopic algae in the water creates a spectacular display of luminescence.